The Mayo Clinic Healthy Human Race, a health and wellness weekend scheduled for August 22-24, is one of Mayo Clinic’s sesquicentennial events. Eight-time Olympic medalist Apolo Ohno will be the keynote speaker on the afternoon of Saturday, August 23, at the Mayo Civic Center. People who register by August 1 for any of the weekend events will be entered into a drawing for a photo opportunity with Olympic medalist Apolo Ohno. Registrants do not need to be Mayo Clinic employees to be eligible for the drawing. The weekend will promote Mayo’s commitment to health and wellness in the community, and rai se money for the 150th Patient Care Fund. To register and learn more about this exciting weekend, including how to volunteer, visit 150years.mayoclinic.org. 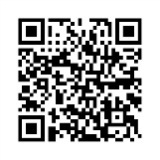 Or, scan the QR code with your smart device. Need another reason to participate? The DAHLC is challenging our Wellness Champions to recruit their colleagues to participate in the weekend’s events for a chance to win a celebratory cookout at the DAHLC café! Contact your Wellness Champion for details. Don’t have a Wellness Champion? Consider signing up to be a Wellness Champion by emailing RSTWellnessChampion@mayo.edu. See the schedule of events and register today at healthyhumanrace.com. Register and learn more: www.rochesterhalfmarathon.com.